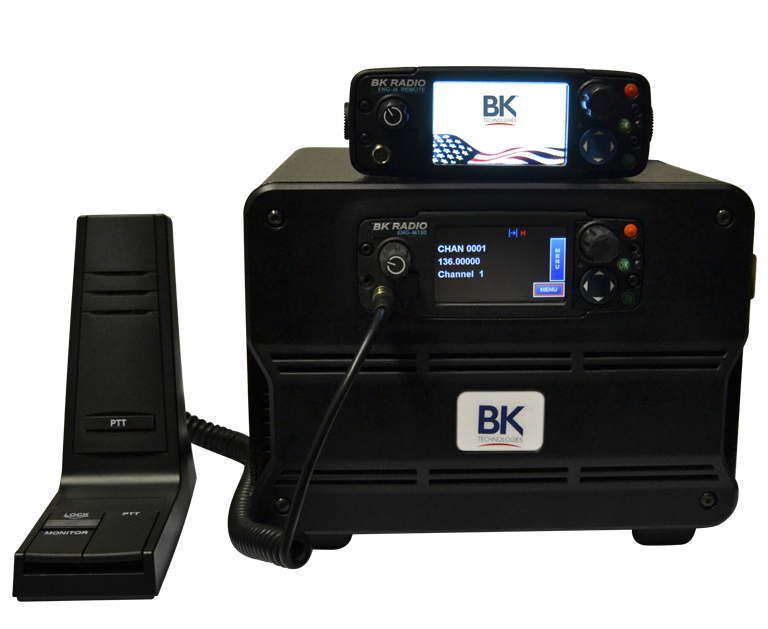 Meet the KNG Mobile, the industry’s first mobile radio with a touch screen display. The KNG Mobile offers exceptional features in a standard size package for both mid and high power applications. Offered in four frequency bands and two power options, 50 or 100 watt, the KNG Series Mobile is smart and easy to customize to fit your everyday needs. 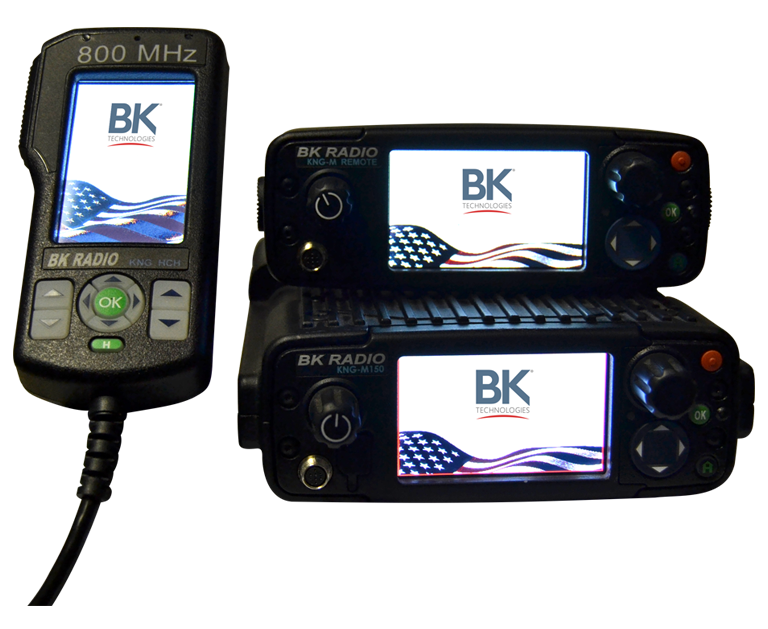 The KNG Mobile is also available with the option to connect up to two remote heads. Know where you and your team are at any given moment with the BK Technologies® Wireless GPS option (P25 Tier 1 and Tier 2 Location Services Compliant). Longitude and latitude coordinates will give your exact location, or the location of another KNG, anywhere in the world, saving valuable time when calling for backup in emergency situations. 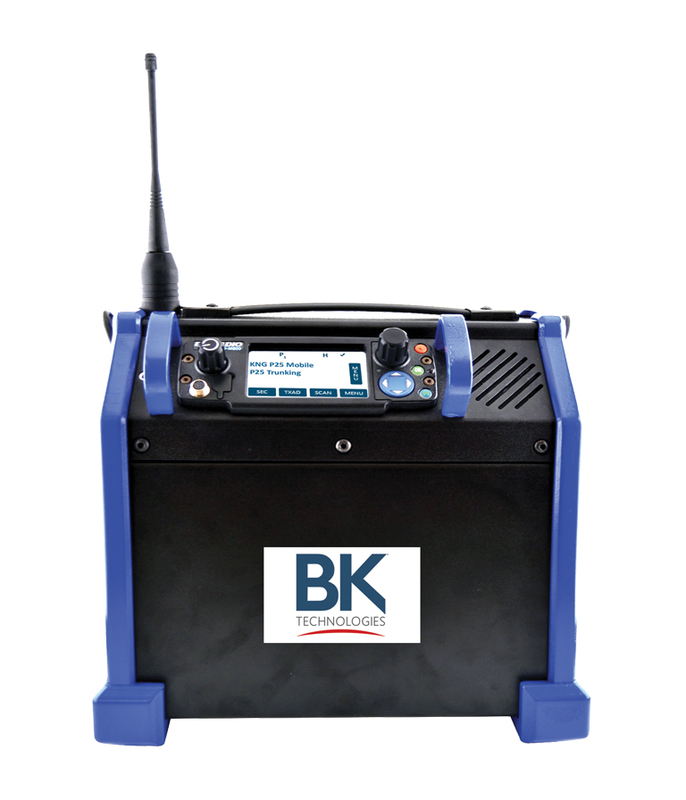 BK Technologies® Wireless Over-the-air-programming gives you the ability to reprogram a unit from a central console to anywhere within your coverage area. 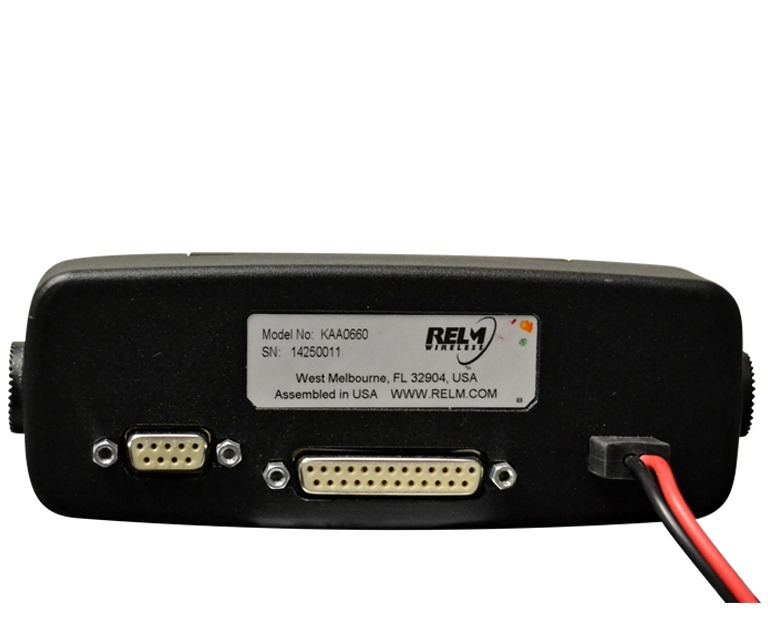 It allows for you to make the necessary changes to a remote radio without the hassle of extra personnel, wasted time, and additional equipment. 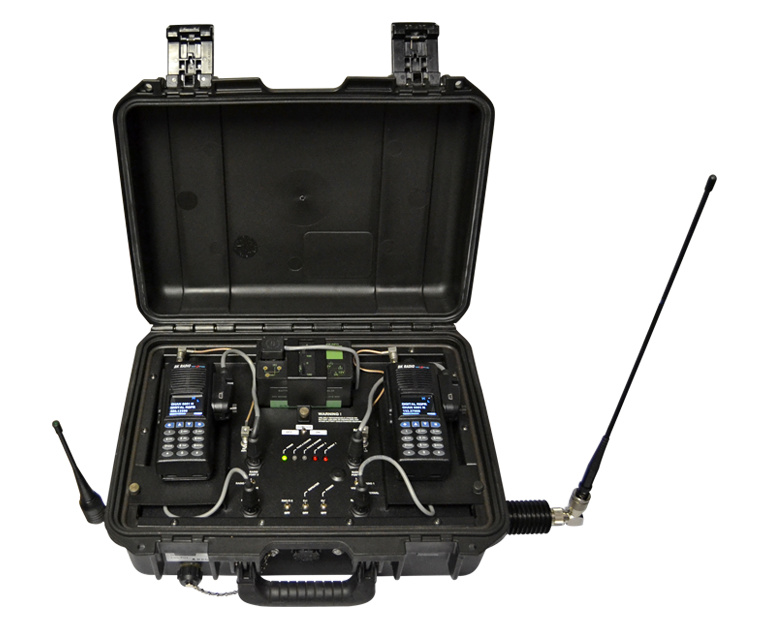 With BK Technologies® Wireless Tactical OTAR (WTO), you are provided with the flexibility to upgrade encryption keys wirelessly and effortlessly without ancillary equipment, infrastructure or key management facilities. WTO operates radio-to-radio and is completely contained in the KNG radio units, which means no additional equipment is required beyond initialization. Multicast Vote Scan capable KNG Series radios automatically select the best site to operate from in a wide area system. Channels in the multicast conventional system are added to the scar list and designated as “voted” channels. The KNG Radio scans all voted channels and selects the channel with the best signal. AES and DES (Digital Encryption Standard) allows you to communicate with other radios that have the specific key programmed. 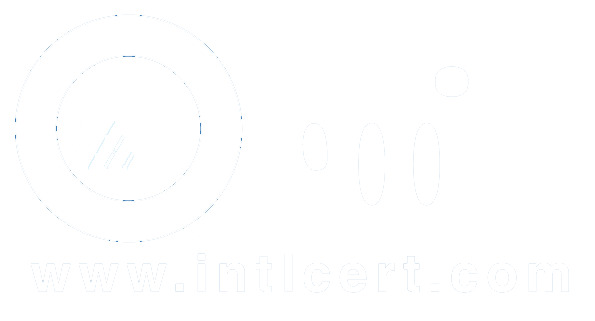 BK Technologies® AES/DES Encryption is NIST certified, validated FIPS 140-2, Level 2 Encryption with a 256 key load. Custom-tailored user zones can be programmed into the KNG Mobile by radio users and can also be field changed or reprogrammed whenever necessary. Program the KNG Mobile out in the field in minutes using an easy to use customize-able menu system, or simply plug in your laptop via USB port on the front of the unit. Find an available channel for communications: scan channel, priority channel, or scan by zones, one zone at a time. The KNG Mobile has gone through rigorous testing and meets or exceeds military requirements. Users sending text messages receive an acknowledgment that delivers of the message was successful. Text Messages can be sent radio-to-radio or can be repeated through fixed network equipment. 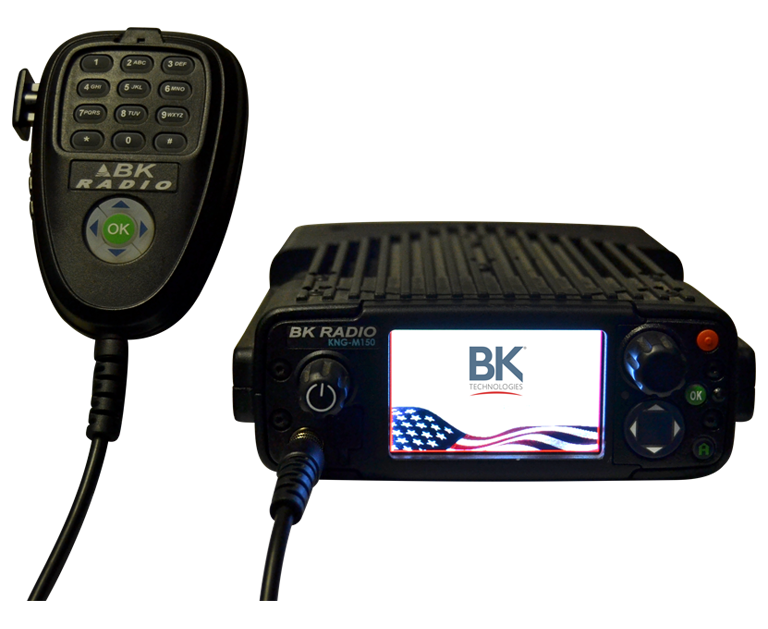 The first of its kind, the KNG Mobile’s innovative color TFT touch screen display solves many issues seen in existing mobile radio control heads. Day or night, get all the information you need right at your fingertips. 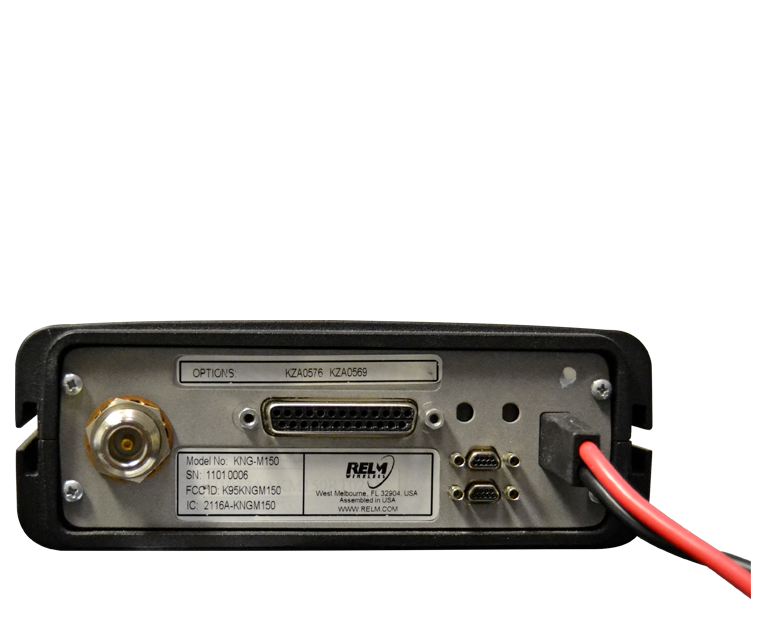 Only the KNG Mobile offers 50 Watt and 110 (VHF) Watt power in a same size package – small and compact to fit neatly in your dashboard.